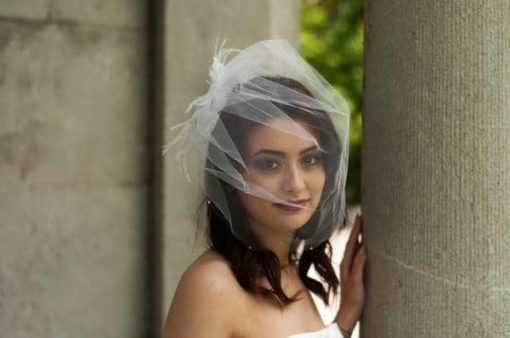 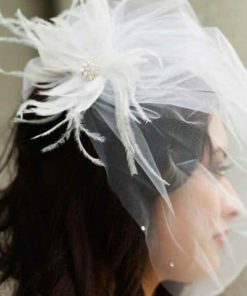 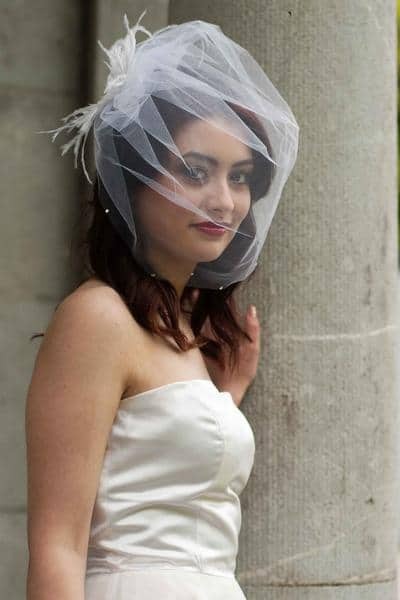 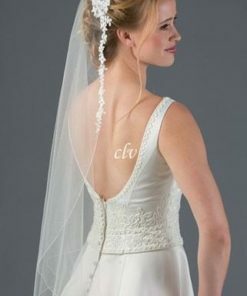 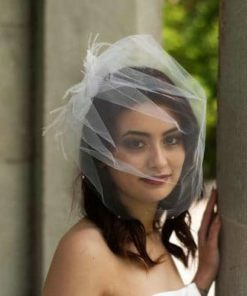 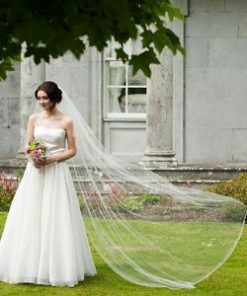 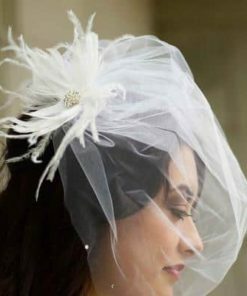 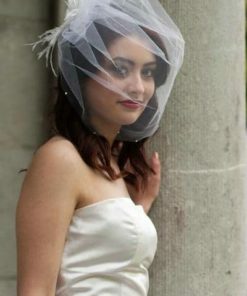 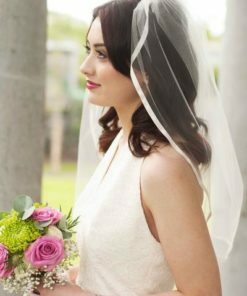 Unforgettable puff birdcage veil with feathers. 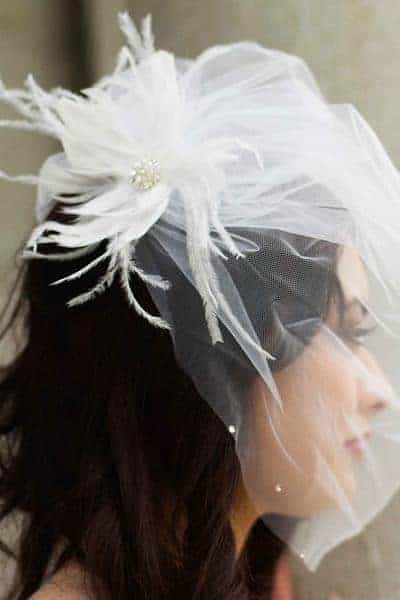 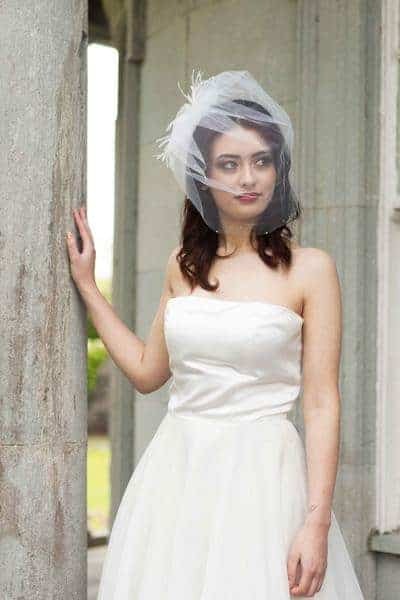 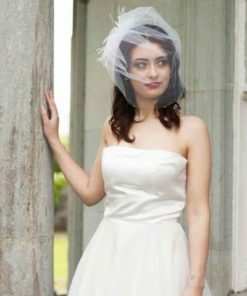 Made from soft bridal illusion tulle and embellished with feathers and a rhinestone button accent. 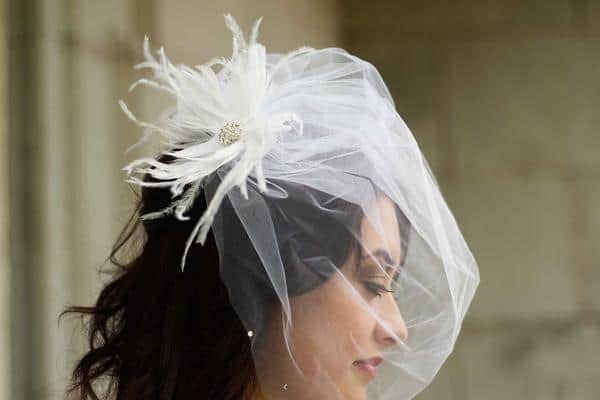 Savvy has the added touch of rhinestone bling along the edge of the veil – perfect for wowing your wedding guests as you make your grand entrance.